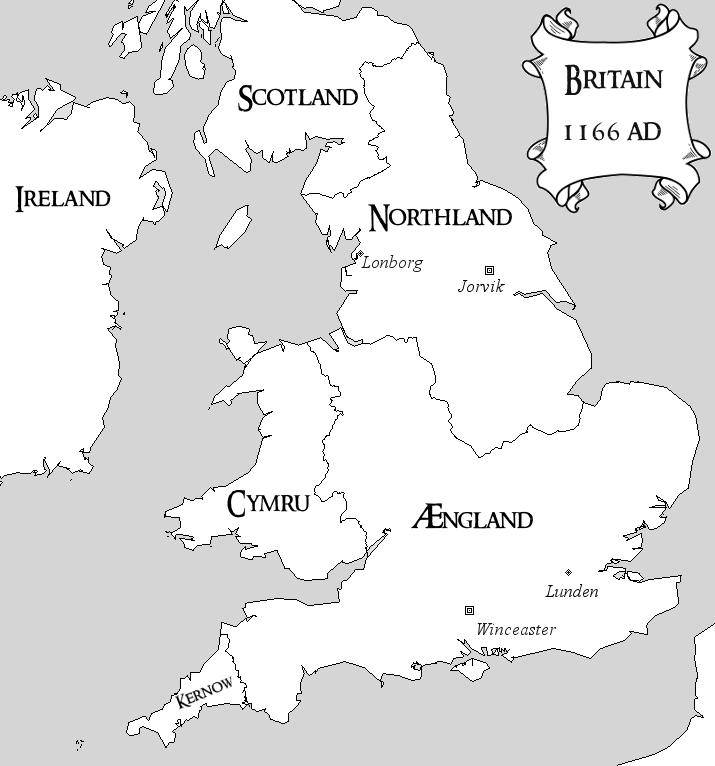 A small selection of maps of Britain as of the year 1166. The British Isles and Ireland- Northland extends from the Mersey to The Wash, covering most of the Danelaw from the 10th century, although excluding East Anglia. Northern Cumbria and Northumbria regularly exchange ownership between Northland and Scotland – at the time of The Hidden Crown, Penrith marks the border in the west. Jorvik (York) is the Northlandic capital and Winceaster (Winchester) is still the capital of a Saxon Ængland, although Lunden is the largest and richest city in the realm. Western Northland, detailing many of the locations featured in the Hidden Crown. Yorkshire is divided into the Thriths of Jorvik (thirds, or ridings, as they’d become) – Jorvik itself is governed seperately. Lancashire did not exist during conquest-period Britain. 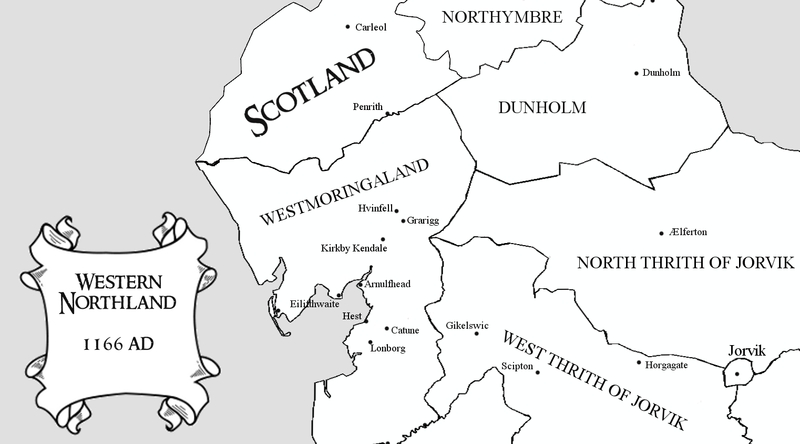 Instead, the entire area between the River Ribble and Scotland is referred to as Westmoringaland – the land of the people who live west of the hills, although Lonborg (Lancaster) is the principle town from which the Jarl (Earl) governs. Eastern Ængland – a small part of the kingdom, showing the locations mentioned or featuring in The Hidden Crown. 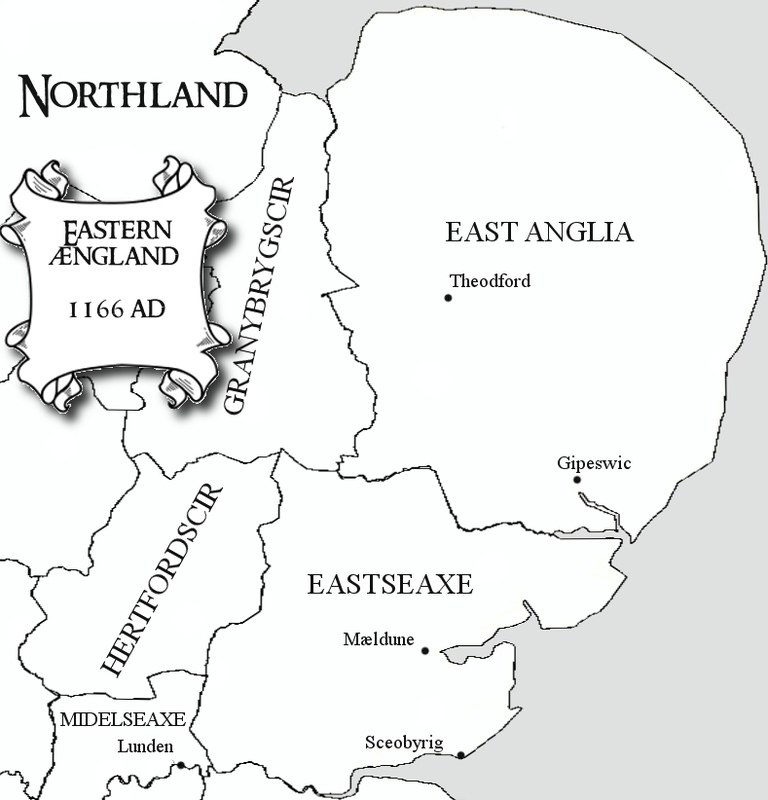 East Anglia, despite having been an Anglo-Danish kingdom, did not come under Northlandic rule. As one of the largest shires, its Earl holds considerable influence in Winceaster.